........... the only thing I’d like to have time for is the Mercedes Museum - but that means another drive to Stuttgart on Thursday as there’s no time on Tuesday. Do you realise that Oberhausen is over 260 miles from Stuttgart? That's a hell of a round trip just to see some old Mercs. Regarding the time you'd need at Dinslaken, as a first timer I'd be surprised if you could see everything worth seeing in less than 4 hours. It doesn't really get going until late morning - especially if it's wet. That said, even if you stay there until 2pm it leaves plenty of time to get to The Classic Remise for a good look round before it closes. Thanks, but yes I knew it was a 4+ hour drive which is why I won't return there on Thursday. It will wait for another time - I'd much rather stay with the group and looking forward to the trip, just need to get it all booked with Longers now. As for Classic Remise I will decide on the day - I want to enjoy the day at Dinslaken and if there's plenty to see and folk to chat to then I won't go this time. Basically I'll be the same as Phil 997... He's just so cuddly. "I am very sorry but it will not be possible to visit the Factory that week. I had previously been assured there were spaces available for our group on Tuesday 30 April but when I contacted Porsche to confirm the booking they told me all tours that day were full. Since then I have asked about the other days that week and all of the tours are full. You are still able to take part in the private tour of Spa Francorchamps on Monday and visit the Porsche Museum (including lunch at Restaurant Christophoros) on Tuesday before continuing to Dinslaken. As you may already know, the viability of the Spa tour depends on the number of people taking part so I would appreciate it if you can complete the booking form or contact me phone email or phone to confirm your plans as soon as possible." If you want to do something else on your way to or from Dinslaken please let me know and I'll be happy to help. This has to be on Monday 29th because the rest of the week the circuit is closed while they get ready for the WEC weekend. The costs of the tour are fixed regardless of the number of cars taking part so based on 2018 I have assumed there will be 12 cars. If there are less the price will need to be adjusted. Option 1 - Museum visit on Tuesday morning followed by lunch in Restaurant Christophoros then the drive to Oberhausen. Option 2 - Drive to Stuttgart Thursday morning, visit the museum and have dinner in Restaurant Christophoros. In previous years the organisers have insisted payment is made up front to guarantee a parking/display area in the centre of the arena. However because they now trust me and know that if I say there will be 20 cars then 20 cars will turn up they have agreed you can pay in cash on the gate this year (€30 for 1 car with a maximum of 2 people). Your parking/display area is in usual place - see bottom left of the arena in the following image. Please let me know what you would like to do as soon as possible, especially if that includes the visit to Spa. You will also need to update the following list who is doing what and when. Or do we take over Spa ! We are doing Saturday afternoon / night at the Leffe brewery in Belgium, Sunday short runs around lux. somewhere lux/ Germany boarder Sunday night as have done a spa tour (which is well worth it at least once). Disclaimer I booked the factory tour for Monday afternoon a while ago. I’ll check when we get there to see of there are any last minute spaces free on the Tuesday if others are heading to Stuttgart ( but don’t bank on it), will try bribery if it helps! Tuesday We are planning Porsche museum late morning, lunch and then Mercedes in the afternoon. A couple of hours at each is fine if travelling up to Dins later on. Fully understand Longers and know he will be unhappy about the factory tour, they were a bit of a pain when I booked as well. I personally am not too worried about the factory tour for several reasons .a/ there won't be any 997 bits for me to pinch f) and in the past the destinations were secondary to the laugh had driving to them and enjoying a beer or two with the guys when at the hotels. So I plan to stick to the original plan minus the factory but maybe to inc the merc museum instead whats everyone else thoughts. 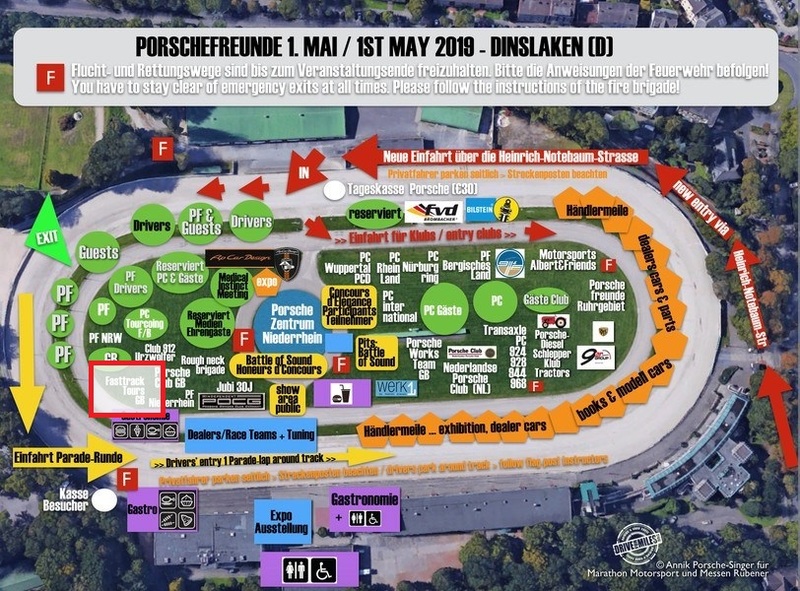 I am booked into the V8 hotel on the monday night and its about 30km from the Porsche museum and the Merc museum is 10km from there ??? Real shame about the factory tour, but if it can't be done, it can't be done! Will stick to my plans for the Spa on the Monday followed by Stuttgart and museum, don't mind the Merc museum unless there is anything else to see en route to Oberhausen! It's a great pity about the factory - one of the things I didn't want to miss, hopefully it won't be too long before there's another opportunity to go on a group visit. So, after giving it some thought I have just replied to Ian confirming I will continue anyway, so Calais Saturday, Spa Sunday night, tour and laps on Monday, Stuttgart Monday night, Porsche Museum/Lunch and maybe Mercedes Museum Tuesday plus drive to Dinslaken, Dinslaken Tuesday/Wednesday nights plus show on Wednesday, Thursday back to Calais - (have asked Ian if he can help with an interesting route). So today an option to head to the ring instead of Stuttgart was discussed over breakfast . But I think I will see what other are thinking before settling on a plan as a lot depends on what the other south coast guys want to do as I will be travelling with them . I am still up for Stuttgart and will do the museum, plus Mercedes if enough go. I have an invite to a friends 50th on the 27th, in Germany, so I may go early and stay over till the Monday and meet up at the V8 hotel. I imagine he will go with your crowd as he is busy with his business at the moment so will maybe not want to take extra days away. I will inform him of my plans and let you know.